Mechanical keyboards shyly reentered the PC market a little over a decade ago. Their market share initially was very limited but they rose to become one of the biggest market trends of the past decade, with most enthusiasts owning or wanting a mechanical keyboard nowadays. This explosively rising demand led dozens of companies to develop their own mechanical keyboard, saturating the market with products, allowing virtually any user to find at least one keyboard that perfectly matches his/her needs. The only real issue with mechanical keyboards is that innovation is somewhat limited and manufacturers are striving very hard to develop that one product which stands out from the competition. 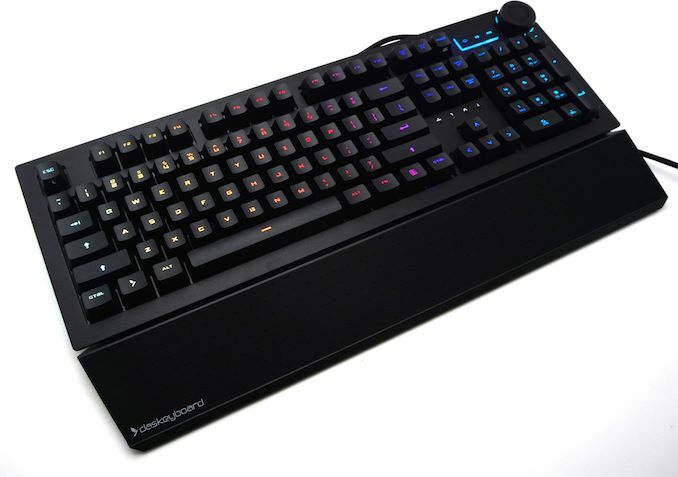 It is true that modern mechanical keyboards are far more advanced than the regular, plain mechanical keyboards of the past decade, as advanced profiling with full programmability and advanced RGB backlighting is nowadays common amongst the top-tier products. The only problem here is that once a new feature or idea comes up, almost every manufacturer implements it within a year. 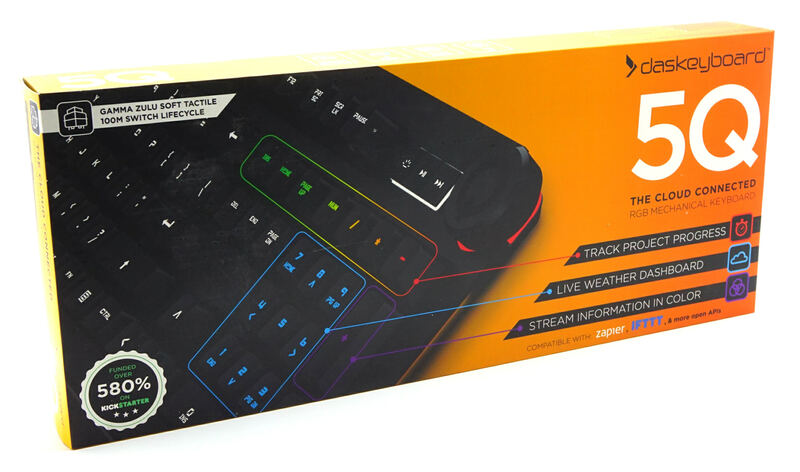 Thus, the market grows stagnant once again, as every manufacturer has already implemented virtually every feature there is to implement on a mechanical keyboard. Das Keyboard is one of the oldest PC keyboard manufacturers and one of the very few companies that exclusively specializes in designing and developing keyboards. Last year the company posted a crowdfunding project involving a “cloud-connected” mechanical keyboard. 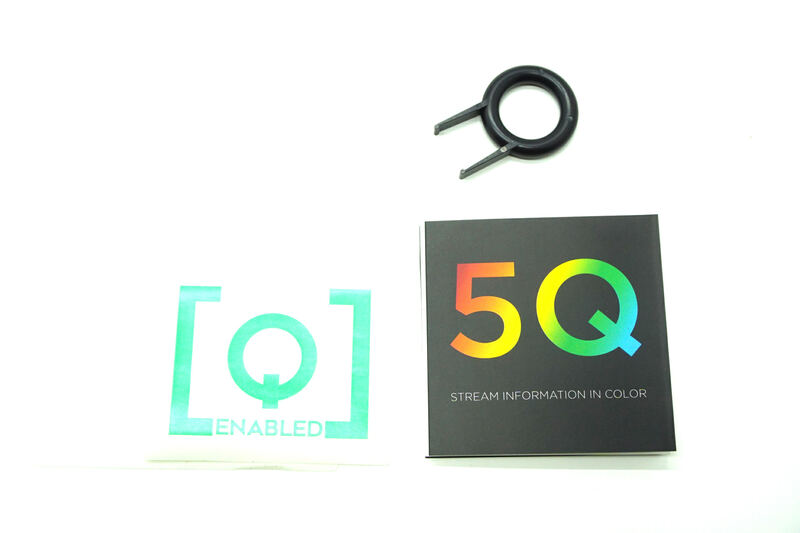 Although the campaign could have gone smoother, it did give birth to the 5Q, the world’s first cloud-connected mechanical keyboard. The company recently released the retail version, which they sent over for us to review. But what is a “cloud-connected” keyboard? Simply put, it is a keyboard that “talks” with the internet – or rather specific cloud-based services and protocols, to be a bit more precise. This theoretically sounds very interesting, as the keyboard can source information from the internet and provide feedback in real time, but also connect to compatible “smart” devices around your home and display information or control them. For example, the keyboard could theoretically be programmed to flash a key when a smart door sensor triggers, or to change its backlighting settings depending on the status of the stock market. Aside from that, Das Keyboard is the first company that's implementing Omron’s new Gamma Zulu mechanical switches, making the 5Q a truly unique keyboard. 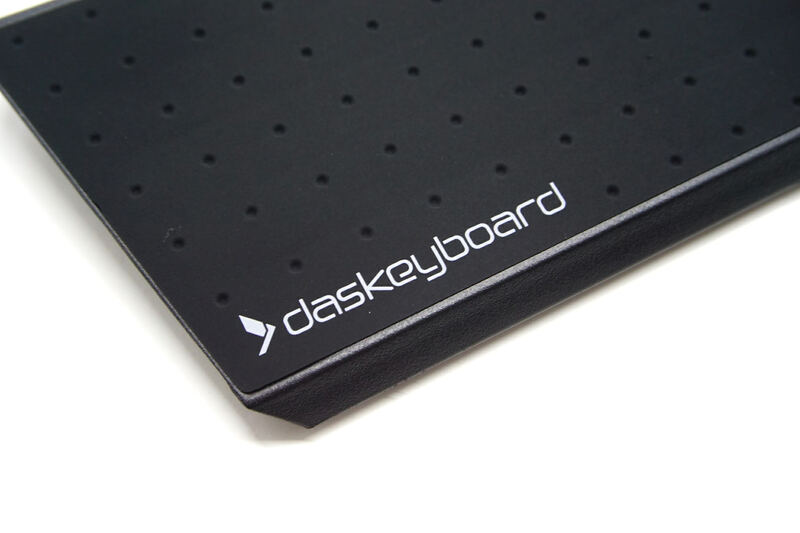 Das Keyboard supplies the 5Q in a relatively large, well-designed cardboard box. The orange-based artwork is quite eye-catching and the designer did an excellent job highlighting the keyboard’s most important features in a minimalistic manner. Once the external sleeve of the packaging is removed, a thick black cardboard box is revealed, exposing that the keyboard has ample shipping protection. The main bundle of the Das Keyboard 5Q is spartan. Inside the box, we only found a quick-start guide, a couple of stickers, and a keycap puller. The keycap puller comes with a little bit of irony because, as we will see in the following pages, the proprietary keycaps of the Omron switches are not compatible with the widely available Cherry MX-based products. The company also includes a very well-designed wrist rest. It features a soft, rubber-like top layer, with the company’s logo discreetly printed on the bottom left corner. The plastic frame is strong and flexible, minimizing the chance of physical damage. 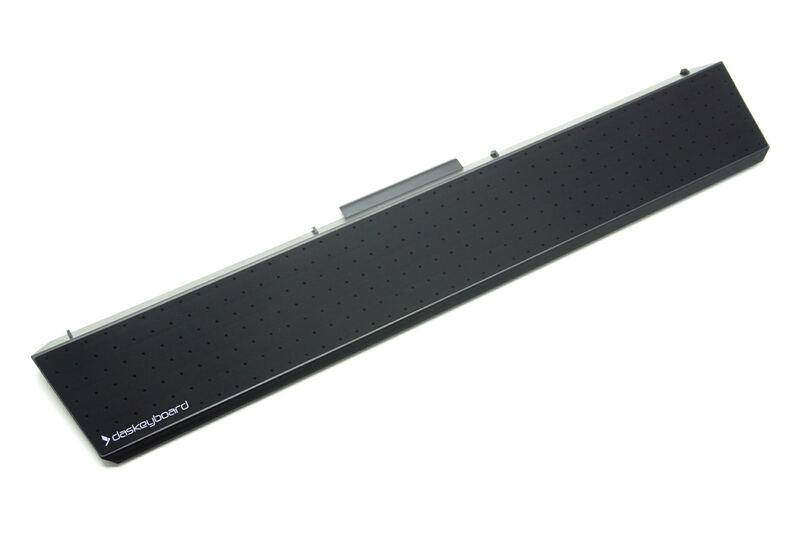 Attaching and removing the wrist rest is quick and easy, as it simply connects to the keyboard magnetically, without any plastic locks or hinges. The only issue that we found with the wrist rest is that dust and debris tend to stick on the top layer (especially in its small dimples), making cleaning a bit difficult.